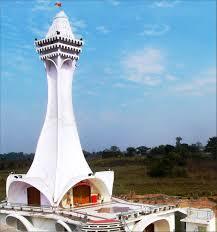 Bindudham temple (or) Binduwasni Mandir is situated in Barharwa town of Sahebganj district, Jharkhand state and also dedicated to Goddess Binduwasni (‘Tridevi’), a combination of Goddess Durga (Goddess Shakti), Goddess Lakshmi and Goddess Saraswati. 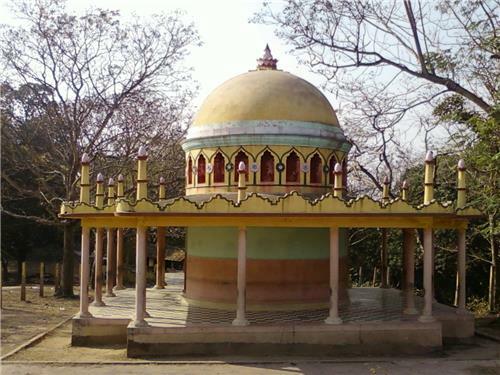 “Bindudham” is at the top of the “Binduwasni hill”. 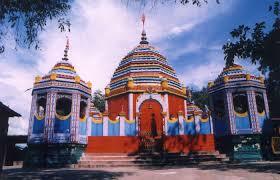 The presiding deity of Bindudham temple is Goddess Maa Binduwasni, Tridevi. Tridevi is the combination of three consorts of the Trimurti (Brahma the creator, Vishnu the preserver and Shiva the destroyer). 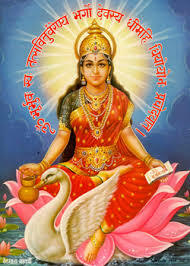 Hence Goddess Binduwasni is a combination of Goddess Maha Durga (Kali), Goddess Maha Lakshmi and Goddess Maha Saraswati (Tridevi) in the form of Shaktipeeth. The three Goddesses are considered to be the manifestation of Adi Parashakti, the divine mother or Goddess Parvati. Goddess Saraswati is the consort of Lord Brahma, the creator, and She is considered as the goddess of learning, arts and culture. Goddess Lakshmi is the consort of Lord Vishnu, the preserver, and she is considered to be the goddess of wealth and fertility. Goddess Durga is the consort of Lord Shiva, the destroyer, and She is the goddess of power and love and the transformative power of Divinity. 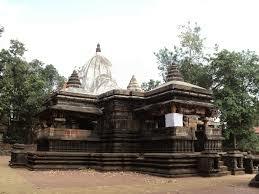 Apart from the following four Shakti Peethas, there are 52 other famous Peetha temples found in the religious books. The mythology says that Lord Shiva had a dance of destruction (Rudra Tandava) carrying half burnt body of goddess Sati after goddess Sati’s self-immolation. To stop the dance of destruction performed by Lord Shiva, Lord Vishnu threw His Chakra (Sudharshan Chakra) on Goddess Sati’s body which dismembered Her body into 52 parts. Each body part or ornament of Goddess Sati that fell on different places of the earth, and is the places where the Adi Shakti temples are built. And it is said the blood drops of Goddess Sati fell here and is considered as a place of worship consecrated to Goddess Sati (Shakti). Hence Goddess Sati is in the form of a point (blood drops) which is came to be called as Bindu (point), which is considered as a point of creation and unity. 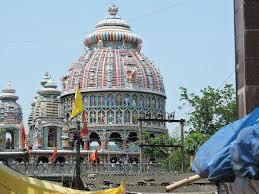 And hence the Goddess is called as Binduwasni and the temple is named as Bindudham. Barharwa has a bus terminus in Main Road. There are regular bus services from the city to other parts in the district. 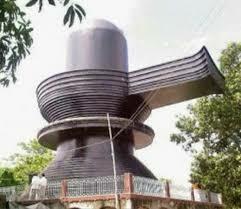 Bus service to Deoghar, Dumka, Ranchi and Jamshedpur is also available. 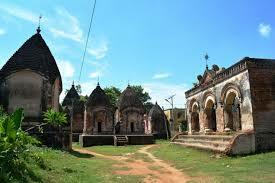 The nearest railway station to reach the temple is Barharwa Railway Station which is connected with Bhagalpur, Jamalpur, Kiul. Barharwa has good connectivity of trains with various passengers, mail and superfast trains. 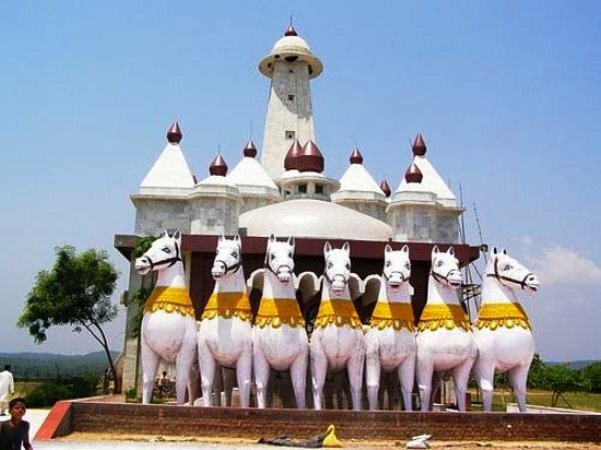 The nearest airports to reach the temple are Netaji Subhas Chandra Bose International Airport at Kolkata, Lok Nayak Jayaprakash Airport at Patna, and Birsa Munda Airport at Ranchi.